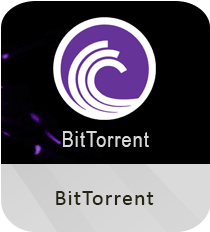 BitTorrent is a popular torrent client used to share data using the BitTorrent protocol. The utility helps you search, download/upload and share music, documents, applications, video, pictures, and a lot more. BitTorrent can support download of multiple files simultaneously via different peers.